This San Diego couple returned to their roots of down-home, small-town Northern California and exchanged their vows for a love-filled future with a simple, yet refined, wedding amongst the great outdoors. Add up an outdoor venue nestled in the Northern California foothills, a lace gown, DIY decor, and what do you get? 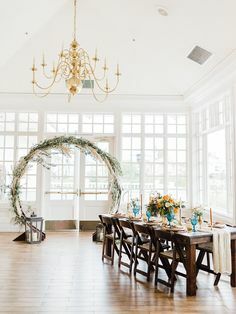 A “rustic” wedding! Not in this case though. Bride Emily had a clear vision of a relaxed, contemporary wedding and wholeheartedly avoided using anything rustic because “everyone and their mom was using that theme.” So today, Emily is going to give you the inside scoop on how to marry your desire for an outdoor, small-town , DIY wedding with your vision of contemporary elegance. Venue: I had my heart set on a vineyard since Placerville is close to quite a few, but most of them ended up being dirty or unaffordable. Again, we didn’t want a rustic outdoor wedding, just a beautiful outdoor setting. Also, Matthew is from an Italian family so a vineyard with an Italian inspiration was the perfect place for us to tie the knot! We stumbled across Villa Florentina online, it was the first place we visited and we immediately fell in love. It just took a little research to uncover. 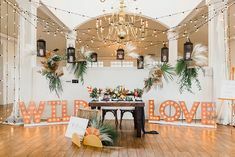 Decor: We used minimal decor to keep it simple, we didn’t want to take away from the venue’s beauty and the view of the hills. I also wanted to remain as low-maintenance as possible.The boxes that were used as centerpieces were made just for us by a close friend of ours, all of the wooden boxes & table numbers were stained with a light finish (stained by yours truly). I think the light finish helped brighten the tables and moved away from the traditional raw wood look. 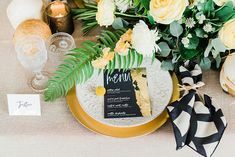 These centerpieces and table numbers were so popular that they have been featured in at least 4 other weddings, passed down from bride to bride! 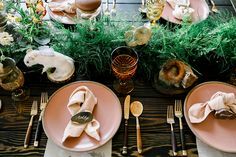 As you can see in our photos, we also tried to incorporate a lot of glass because of their clean shape and the sharp lines nicely contrasted the softness of the landscape and table settings. Bouquets: The morning of our wedding my bridesmaids and I all sat outside on the riverfront deck at my parents house and made our own bouquets. There was something so special about having a bouquet that was hand crafted, bound and cut by my best friends! Also, my mom arranged all the centerpieces! Enjoy their wedding gallery below!